Prairie Farms Dairy, Inc. Cheese Division - Monona Chamber & Economic Development, Inc. Effective April 1, 2017 Swiss Valley Farms merged with Prairie Farms Dairy, Inc., another industry-leading farmer-owned cooperative. As a result, the combined entity will operate under the company Prairie Farms Dairy, Inc. There are many exciting opportunities this merger will bring for our cheese business. Business will continue to operate as usual and you may expect the same high-quality products and customer service from our company. ​The Swiss Valley Farms brand will continue to be utilized in the market place. Prairie Farms Dairy, Inc. Cheese Division is headquartered in Davenport, Iowa. The company manufactures premium specialty cheeses and works with a wide range of customers, including manufacturers, distributors, and marketers to fulfill their industrial, food service and private label needs. ​1. The Luana, Iowa cheese plant operates a cheese store. Phone (563) 539-7201. 2. 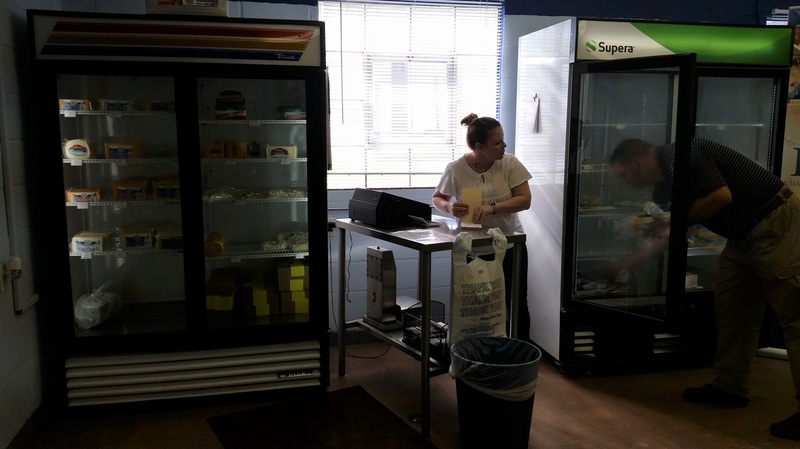 A variety of Swiss Valley Farms packaged cheeses is available at the co-op’s Procurement Office at the Prairie Farms bottling plant in Dubuque. Phone (563) 583-7669 and ask for Tim or Kara. 3. Swiss Valley Farms and Caves of Faribault cheeses may be purchased at the Cheese Cave store in downtown Faribault, MN at 318 Central Ave. N. Phone (507) 334-3988. 4. Get Swiss Valley Farms and Caves of Faribault cheeses shipped to your door. Order online at www.cheesecave.com. The Luana plant continues to be the largest of the company's manufacturing facilities, handling over 7,000 milk trucks per year. This milk is supplied by its network of cooperative farmer-members and used to make its award-winning cheese products. 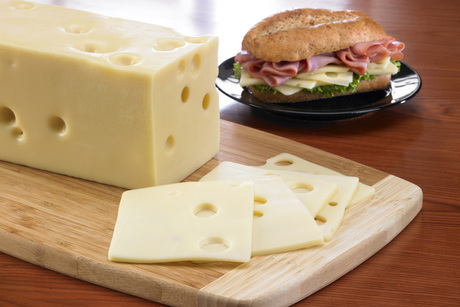 ​The northeastern Iowa facility, which was acquired in 1967, currently manufactures Swiss, Baby Swiss, Gouda, Cream Cheese, Neufchatel and Sweet Whey. These products are sold nationally and even internationally, including Korea, the Philippines and Saudi Arabia. Since then the Luana Plant has undergone several renovations, most recently completing a $20.6 million expansion of the plant that centers on the improvement of the cheese manufacturing operating equipment. 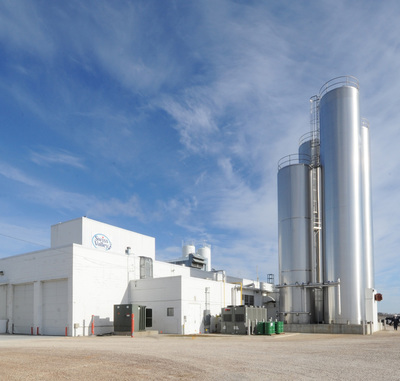 Following this expansion came the merger of Swiss Valley Farms with Prairie Farms Dairy, Inc. Please visit our website to learn much more about our farmer-owned cooperative's award-winning products.